Our congratulations to Professor Tim Stinear (School of Biomedical Sciences and Peter Doherty Institute) whose new study on alcohol-based hygiene products becoming less effective against the hospital superbug, vancomycin-resistant Enterococcus (VRE), featured on the front page of The Age last Thursday 2 August. 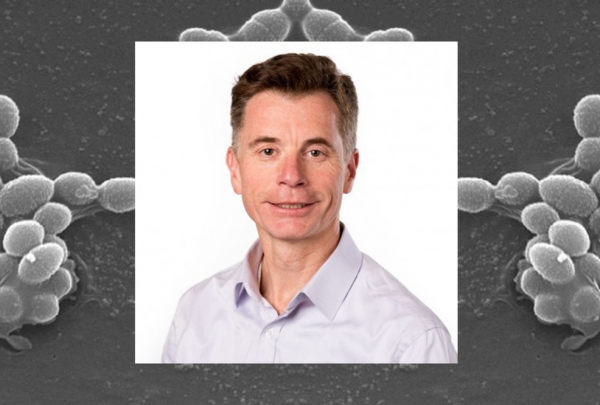 The study led by Professor Tim Stinear (School of Biomedical Sciences and Peter Doherty Institute) was a collaboration between the Peter Doherty Institute for Infection and Immunity (Doherty Institute) and Austin Health and was published in Science Translational Medicine on 2 August. The study looked at 20 years of data and found that the hospital superbug, vancomycin-resistant Enterococcus (VRE), has become progressively more tolerant to alcohol. Tim's study has been gaining much media interest, featuring on the front page of The Age last Thursday 2 August, as well as on Pursuit, and The Guardian among many others. Once again, congratulations to Tim and his colleagues on their achievements.